Ideas to help school counselors with guidance lessons, small groups, and individual counseling. I hope that everyone is having a WONDERFUL start to the school year! We have been busy since our school grew by approximately 100+ students. I have a fabulous new partner and I am so lucky to have her! We just finished our cute little "One in a Minion" intro lessons and are moving on to Kelso. 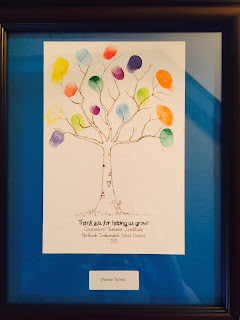 I try to have a different activity for each grade level so they will not repeat it every year. I needed something for 2nd so I made this by borrowing the idea from something I saw on Pinterest. I thought I'd share. Have a great week! Remember, "It's your choice, baby!" 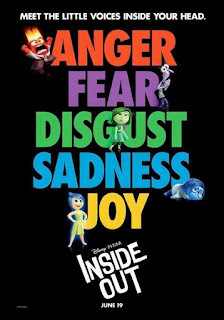 I'm so excited about all the lessons and ideas that this movie is inspiring counselors around the country to create. I follow a national Elementary Counselor Exchange on Facebook and this movie has had its share of postings all summer. I think if you follow any type of counselor blog, Pinterest, or Facebook Exchange you will be set for half of your groups and lessons for the year! I was very excited about the movie poster that is currently being sold at Walmart. I bought one for my office and one for my guidance classroom. If you haven't picked one up, they still have plenty, $4.98 for the poster and $8.82 for the frame. The poster fits perfectly no trimming required. The characters were a great buy at Walmart too! They cost $8.88 each and they are a good size. The only problem is, quantities are very limited and you may find yourself driving to a few Walmarts to get your collection. I personally drove to four yesterday, but I was successful! 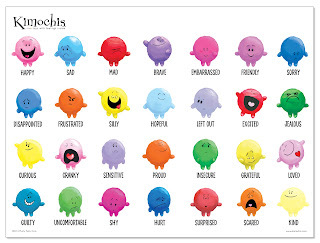 This feelings worksheet would work well with small group or an individual counseling session. 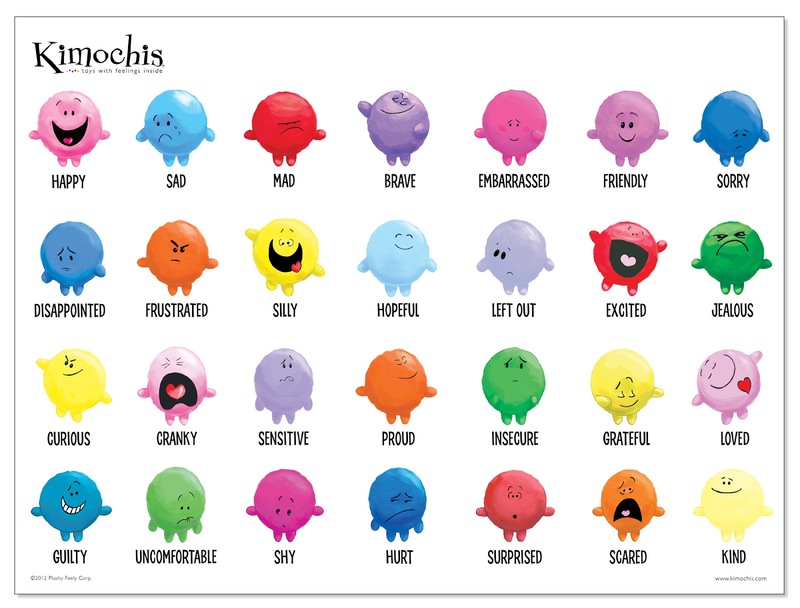 I like it because you can bring in your Kimochis (if you have them), and it is just another good tool to help students expand their vocabulary when expressing feelings. I also found these cute flash cards on a "Mommy" Blog. 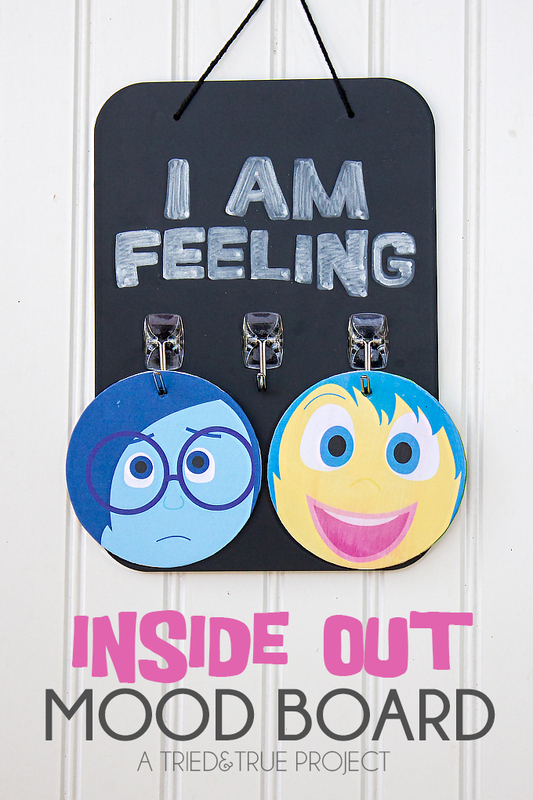 http://www.motherhoodunadorned.com/2015/06/18/talking-to-kids-about-emotions-inside-out-printable-feelings-flash-cards/ The possibilities are endless with these. She lists some cute ideas on her blog. I thought of making a matching activity with the Kimochi's characters, using the small feelings pillows as well as the larger characters. 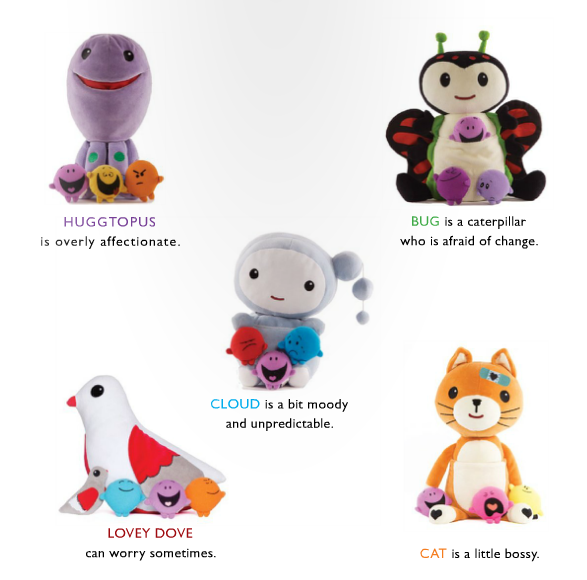 After reading a brief description of cat, bug, huggtopus, etc., students can match the character to the (Inside Out) feeling they share the most characteristics with. The Kimochi's posters below have very brief descriptions of the larger characters, but it gives you an idea of how it may work. Then you can take it a step further and have them relate it to themselves. I mostly feel like _____________ because _________________. Three things I can do to help me cope (see worksheet). I put an outline of a brain (yes, if you attended my anxiety presentation it is the same one from happy/worry brain) so that they can fill it with the things that are making them mad, sad, scared, etc... Even though they are writing a brief statement, I think drawing pictures or a symbol of what is making them have those feelings is also very helpful in helping them cope with their feelings. I hope everyone is having a WONDERFUL summer, I know I am! Time with my family is the best time of all! I cherish these lazy daze of summer and don't take one moment for granted with my boys. They are growing up so fast it makes my heart hurt! Well I did it! I conquered one of my biggest fears and I actually put together a session and presented it to my colleagues today at our annual Counselor Summer Institute. The fear was never about how I would look or sound in front of everyone or my ideas in general, it was more about feeling worthy to be presenting my ideas to this group of wonderful and talented individuals. I truly believe in my heart that I work with the best group of school counselors in the best school district in the state of Texas! So what did I present? The title was, "Taming the Stress Monster", Ideas for conducting Small Groups and Individual Sessions on Stress & Anxiety. This subject is close to my heart and something that kept me busy this school year. There was a high need for this type of counseling on my campus and I needed to find ideas, quick! Pinterest was quickly becoming my best friend and I needed to tweak and adjust lessons to fit my students needs! I will post more on this topic later with an activity from the presentation that you can download. Today was a great day of learning and professional development. It was an opportunity for colleagues to share ideas, learn new ideas, and just be together. Thank you, Northside for continuing to provide us with the opportunities for professional growth, networking, and support. Hope Everyone is Enjoying Your Summer! My certificate that was presented to me after my session! I was so excited to have my blog I broke it after one day! :-0 Hopefully I'm all set! I changed my URL from theclevercouselor.com to thecleverschoolcounselor.com. I felt that I needed to make that distinction, but in the process, I broke my precious blog! I am not tech savvy and I had to figure it out on my own, so I am officially "The Clever School Counselor" YAY! Hopefully, I can share some clever ideas with my wonderful colleagues and make some new connections along the way. This site is under construction. It will be my summer project and goal to put it together. I can't wait to get started! 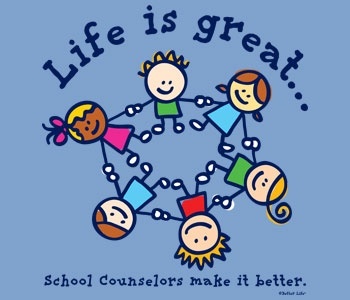 Elementary School Counseling is my area of expertise and my passion! I can't think of anything else I would rather do other than be a full time mommy to my beautiful boys, but they both attend school with me, so I get the best of both worlds! I am looking forward to blogging and communicating with my fellow counselors! Enjoy the last few weeks of school, I know I will! Not always, but we will sure help you cope! The Clever School Counselor. Watermark theme. Powered by Blogger.